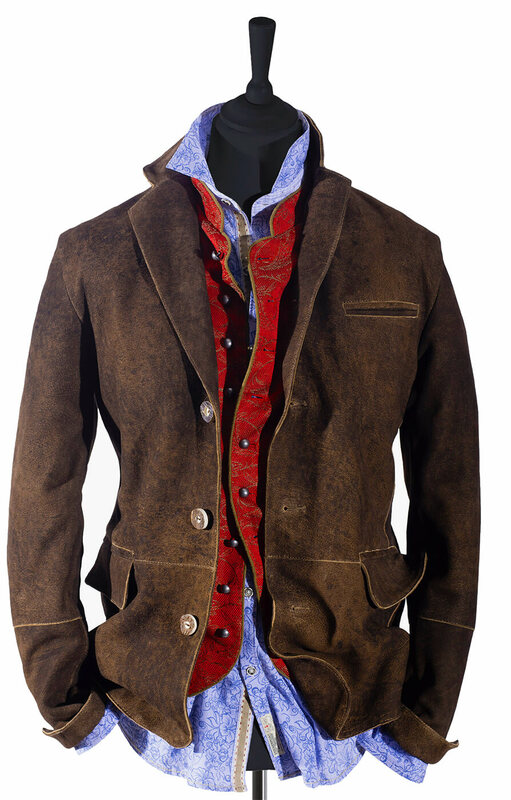 Jason men’s traditional leather jacket. 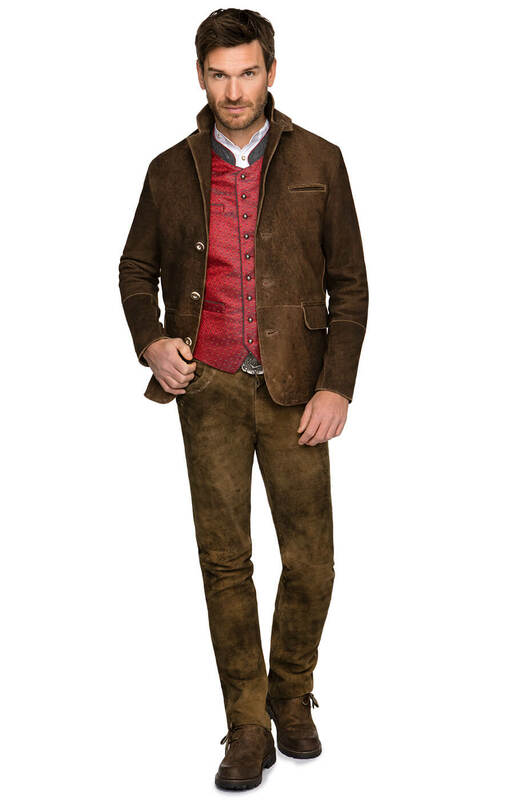 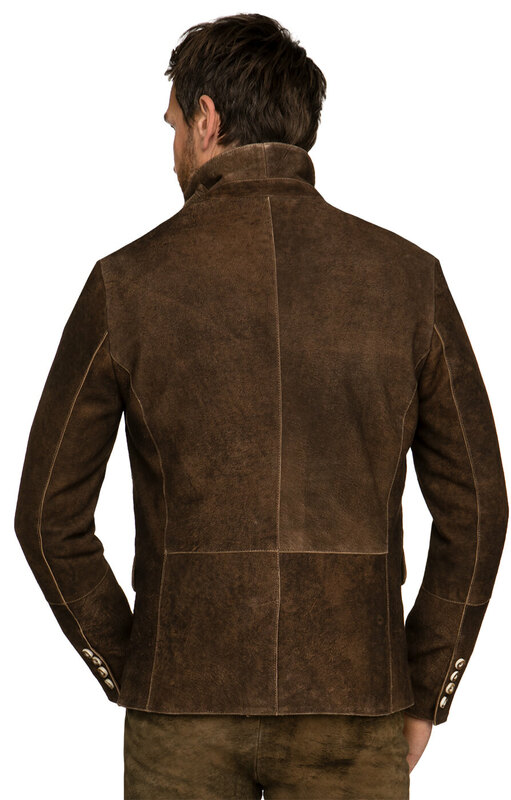 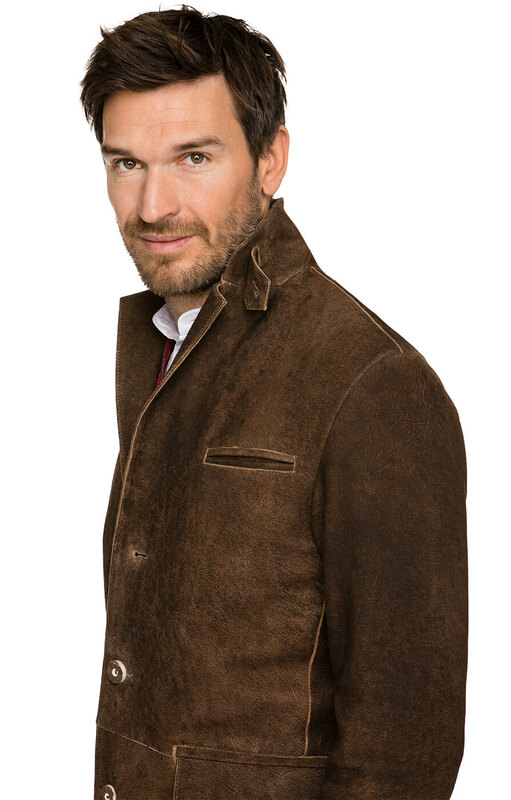 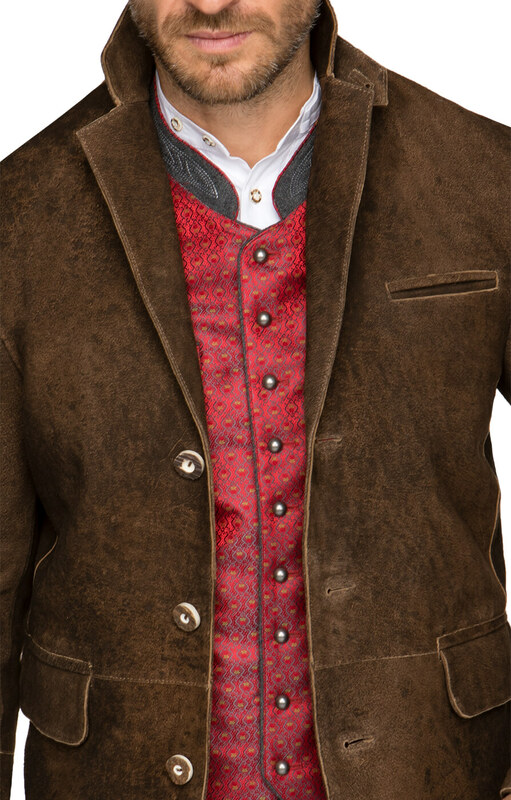 This cool brown leather jacket is the perfect garment to wear in combination with Lederhosen when attending Oktoberfest, although it can be worn all year round. 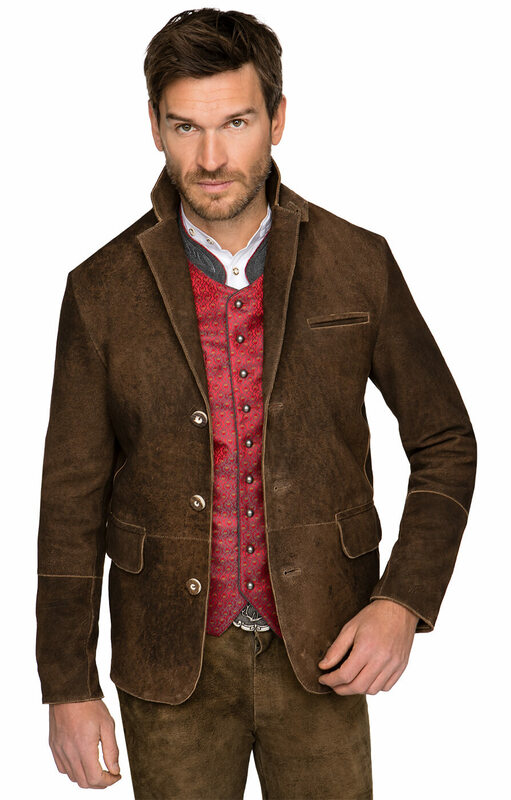 The jacket boasts broad lapels and an adjustable collar, while the look is completed with rows of horn buttons on each cuff.